Every news media outlet was buzzing over the release of the movie “American Sniper”. Some touted it as a fantastic portrayal of patriotism, liberty and American pride. Others vehemently condemned it as an exploitation of war or a misrepresentation of snipers as heroes when in the warped opinion of the critic they were in fact cowards. A few even claimed it was of such poor cinema quality that it did not deserve any attention at all. Admittedly, I was shocked by the animated negative opinions. Now, I believe that in a nation that protects the freedom of speech, these critics have a right to their opinion. What was stunning to me was that these vicious views would be directed to oppose such self-sacrificial lives. I was reading the book when the movie debuted. Through each chapter I was tracking with Chris Kyle’s life, moments of maturing, struggles with family and horrific episodes in the battlefield. War was not glorified but devotion, commitment, family and country were. Clint Eastwood directed the film. I thought that he captured so many moments of fear, frustration, courage, conflict, joy, encouragement and family. In a matter of seconds Eastwood told the story of many pages with a single take in the film. Despite the critics I learned about a man whose sacrifice and skill keeps my liberty safe. My life has been protected by Kyle’s service. I for one am very grateful to him and to his family. I am left wondering how a movie theater in the second week of its release is so full. If there are pundits out there who insist that we believe and adopt their negative and critical spirit, then why are so many turning away from their stinging words and going to see the movie? In my mind there are many Americans who love this country and lift up the military with respect and appreciation. It was not just the courageous deeds of Chris Kyle on the battlefield. His wife Taya sacrificed too. Her steady care for their family during Chris’ deployments were a testament to the family courage. She was there to help Chris find a way to let go of the war. It had so captured him that the commitment to let it go and really return home was a much a part of the message of the book and film as was his faithful service. I heard Taya’s moving words at Chris’ memorial service. They touched me as did the movie. Thank you to the Kyle family for your service and sacrifice. God bless you and God bless the USA. Everybody loves a parade. That age-old adage of Americana does not need proof from statistics or polls or historical analysis. Instead, it is a phrase that describes a universal truism; this country has a pride about it that is felt by the citizens who line the streets of parades in rural USA and major metropolitan cities. 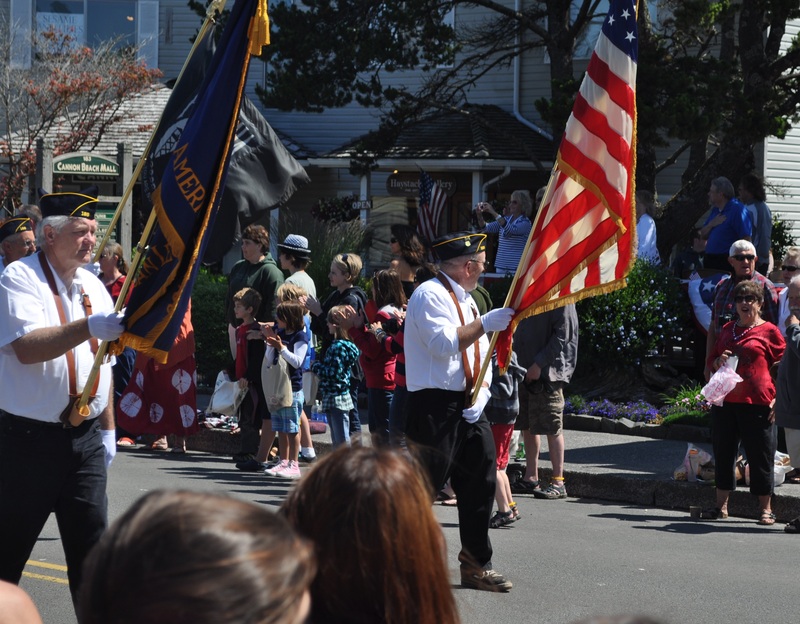 When the drums start their rat-ta-tat-tat and the brass blare out a Souza march and the sirens of the local fire engines sound their presence, the people along the parade route rouse themselves with expectation. Children began to dance naturally. Sweets are rationed out by parents. There is plenty of applause from the adoring crowd. It is an American custom to enjoy a parade. Traditions flourish with the marching units all directed by the parade marshal. One such tradition is the lead unit escorts the color guard. 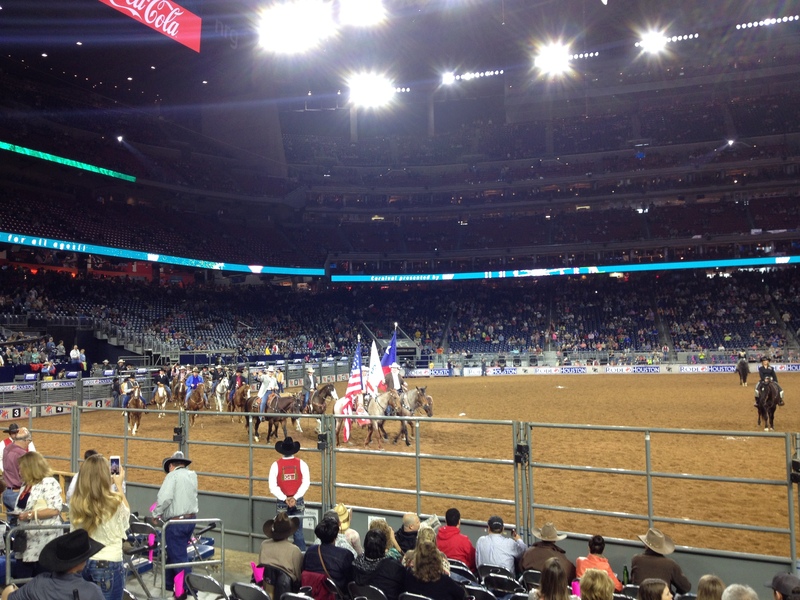 The American flag leads the parade. Veterans carry the stars and stripes. We honor them and they honor our national symbol. In the days gone past, the people often stood when the colors marched by. Some covered their hearts with an open hand. Other marching units waiting for their turn to enter the parade stand at attention and salute the honor guard as it passes in review. Grey hair spills out from the hats of the veterans. But, they are not just the elderly doing what no one else wanted to do. They are the heroes of the past who risked life and limb to fight an enemy who threatened to take away our freedom. Now, as survivors and veterans, they meet with fellow soldiers. They encourage each other through life. For the rest of their lives they are lifted up as the best representatives to carry the flag that they carried in battle. Does everyone really love a parade? I do not know any hard percentages or numbers validated by one of the Big 5 accounting firms. However, the notion that a parade is filled with the cheer of fellow Americans who risked everything so that we could have a parade is enough for me. I marched in my share of these grand displays. Some were small town homey gatherings. Others were filmed in front of a live audience for national television. In every case it was a privilege to feel that we are a nation under God who appreciate our liberty won and protected by our veterans. Thank you to each and every one of you. 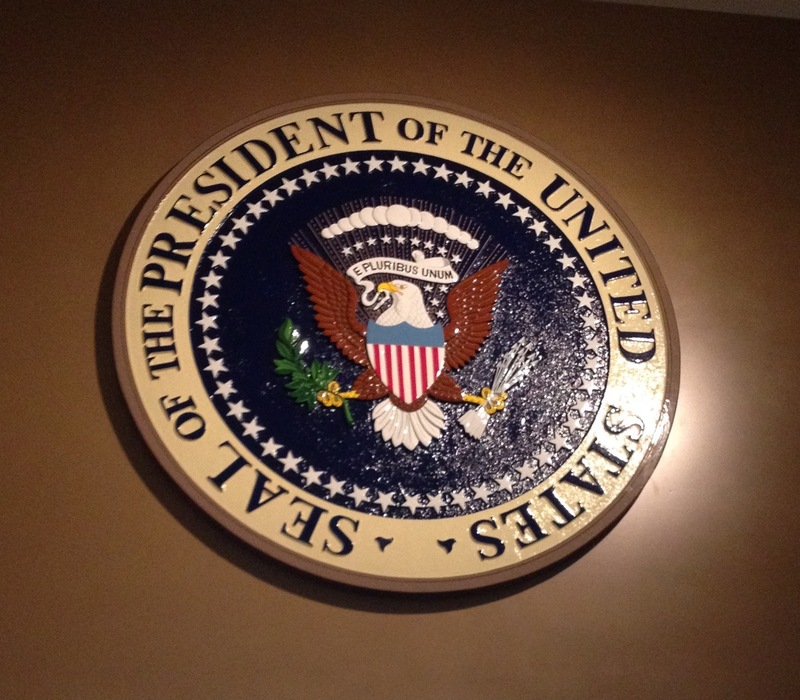 I have enjoyed the thrill of visiting several Presidential Libraries. The newest one to open is in close proximity to my home. President George W. Bush’s Presidential Library is located on the campus of SMU in Dallas, TX. 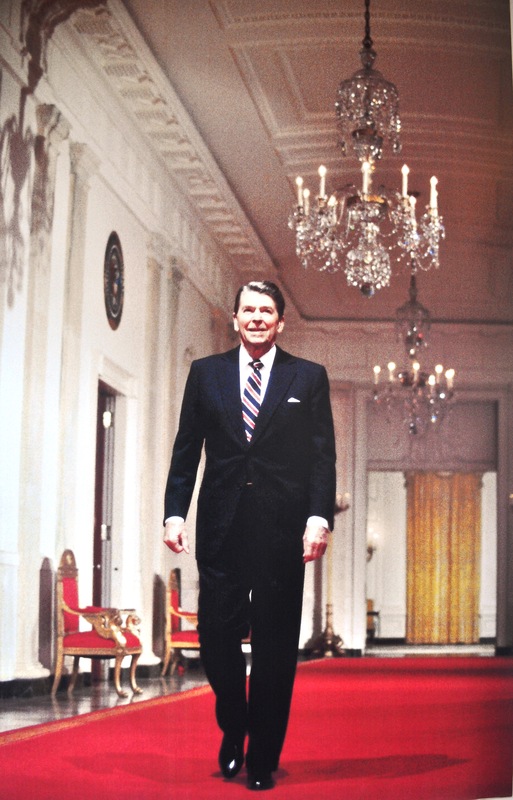 There was a time when I was younger that I thought that the greatest privilege in the world would be to serve as President of the United States of America. After all I love leadership, I want my life to make a difference for others, my patriotism for this country is off the charts and I have given my whole life to benefit the lives of other people around me. Over the course of decades I have served others no matter how difficult the challenge. As I strolled through the exhibits and contemplated the facts of history, it became very apparent to me that the task of running this nation requires something beyond what is humanly possible. No one in their right mind who cannot stand up against the negative onslaught of unchangeable minds would do this job. Power and privilege is a difficult match against the constant scrutiny and immense implications of national and international demands. I stood a long time in the library gazing at this seal. It stirred in me another level of respect for what 43 did for our nation, the dignity with which he performed it and the class with which he treated the office. No, I no longer think of wanting to serve in the office any longer. My youthful aspirations have taken it off my life list. Yet, what an amazing country the USA is. What a remarkable honor to be the single representative of this seal of the great nation. It is a symbol of all that has been exceptional and will continue to be exceptional about this democracy created under God. Yes, I still love this country. I relish the privileges that each of us enjoys as citizens. While this office will never be mine apart from these occasional historic visits, I will long dwell in my thoughts over the burdens that 43 carried for us all. Some people imagine Disney World with animation. Characters that have made Disney famous dance in the minds of those who try to capture the breadth of this theme park. No doubt everyone has their favorite character or two. Others zero in on the radiant castle that Tinkerbell flies around as the Disney Marquee. It is certainly stunning in appearance. Walking among its many rooms and photographing its majestic towers is unforgettable. Colorful buildings of cultural vintage and ethnic flair mark the grounds that envelope us for our dream vacation. 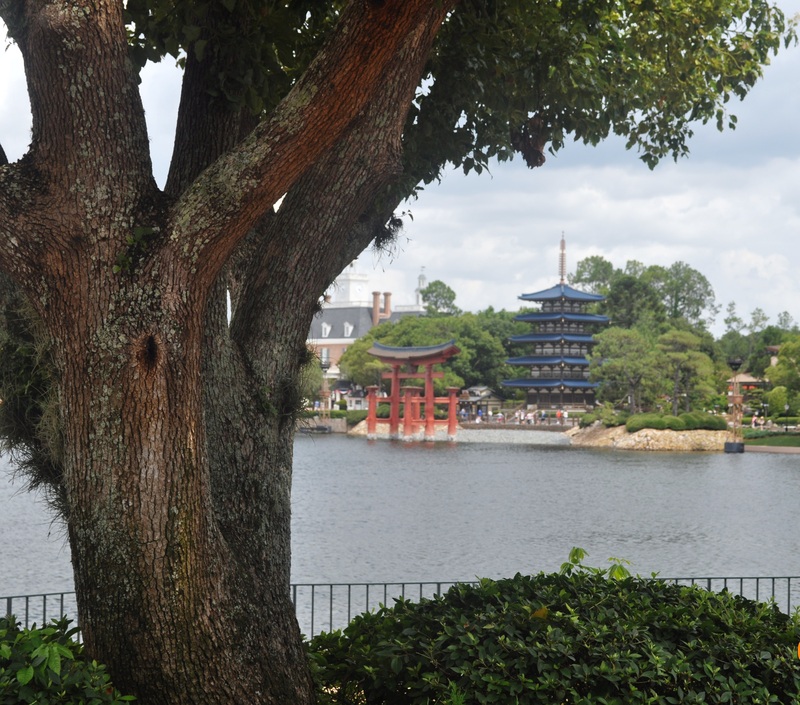 Epcot is unforgettable and the geodesic globe stands out as a hallmark feature of the park. Everyone is included in this magical world. Flowers are stunning. Landscapers must be full-time and constantly planning the next season’s combination of colors, textures, heights and dimensions. 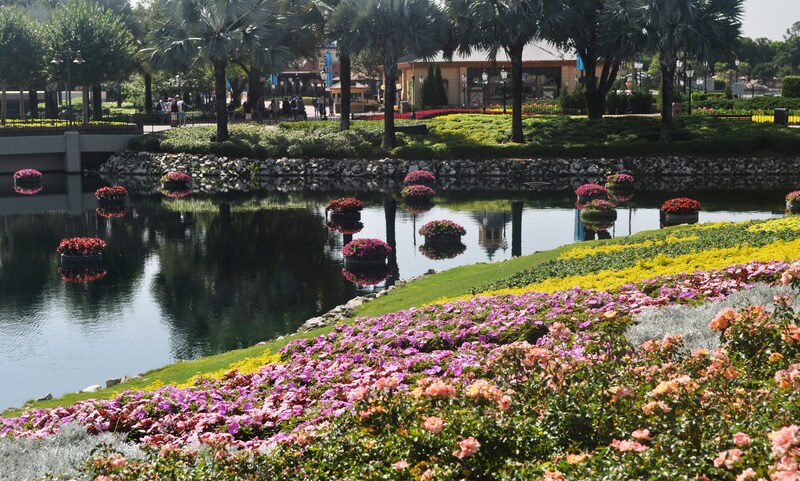 Trees, shrubs, lawns and blooms make up this critical piece of the Disney motif. Nevertheless, do not forget the water. As blue as the canopy of skies overhead, the water ways, lakes, ponds and waterfalls are front and center of Disney World. No matter where we turned or planned our day, water had to be crossed by bridges, boats or overhead trams. Bodies of water are picturesque. They reflect the beauty of vast blues and sparkling lights. Inside of key exhibits there are massive tanks of water that are the homes of magnificent sea creatures, both large and small. The reflection off of the surface of these waters adds to the wonder of this magical kingdom. 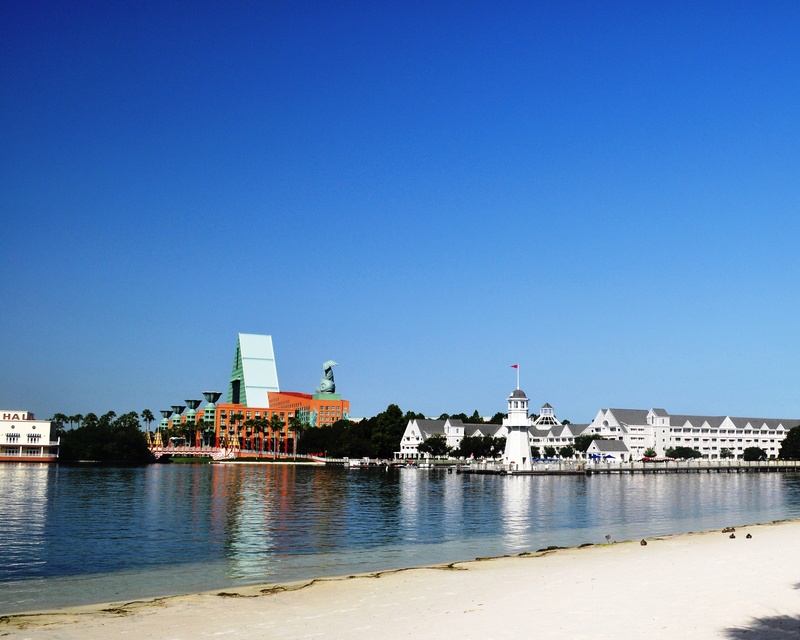 A steady wake from our water taxi makes our hotel begin to shimmer in the morning daylight. When the sun sets, the reflection turns into something spectacular. Those who plan these water features must have a lot of fun dreaming about what could be done. Ideas must rush from their planning and dreaming sessions like a geyser on overload. Water must be placed in its location first or at least steer the conversation of how these parks are organized, planned and laid out. Guests are guided along trails that submit to the restrictions of these planned walkways. Bridges are engineered to make the 100,000 walkers connect with the water. They pass over waterways without getting wet or slowing down. Posing together for unforgettable memories are mighty trees, splendid buildings and resplendent colors. Together they bond together for happy moments for countless people. Yet, the water is almost always there. Add water and there is life, beauty and splendor. My thoughts this morning woke me from a good sleep. It is Veteran’s Day. Memories are preceded by thoughts of gratitude. I am glad that I did not wake up in a country that is torn apart by war. Outside there is peace that surrounds this house. Explosions, gunfire, military aircraft are not filling the morning with the latest in armed conflict. Instead, veterans lived through all of that on my behalf and on behalf of our entire nation in days gone by. Many are still living through those tough times in faraway places, obeying deployment orders. Here at home we awake to freedom because of the life of patriotism that others have lived on our behalf. I nod in private realization that on this special day to honor all of our military, past and present, I am thankful. On my mind is my late father. He served in the U.S. Navy during World War II. He was assigned to a military installation in the Philippines. Yay, Dad! Whether it was a parent, uncle, aunt, sibling or child, many dressed in a uniform for the duties and risks that keep us all safe. Thoughts of them living and fighting for my freedom is on the forefront of my mind. I am grateful. Today, there will be many flags flown. Those cloth emblems will flutter in the breeze, flap with the wind gusts and float proudly in safe skies because of veterans who served with honor. They have made their families and this nation proud. There is another symbol that will be highlighted today. It is the cross. This special sign is a wonderful hope that those who have passed on in battle or in life have not been forgotten. 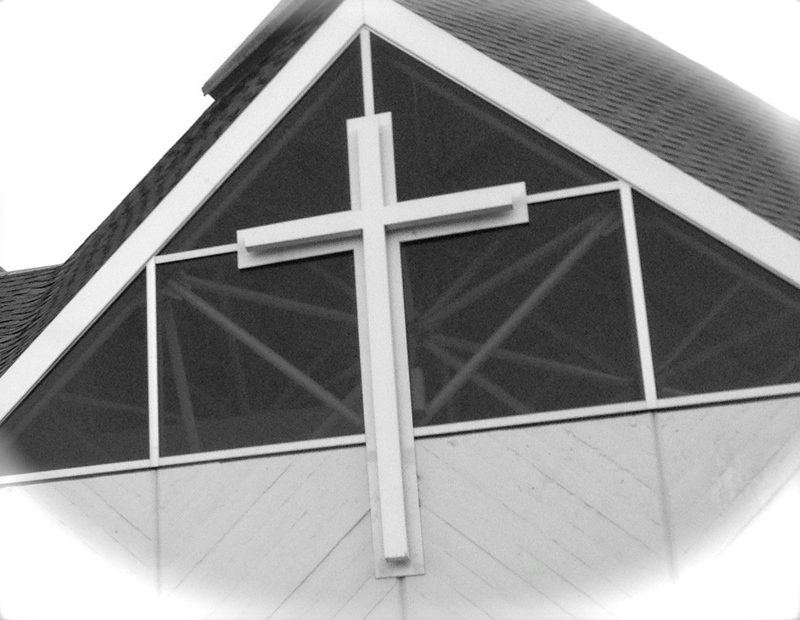 An empty cross represents the resurrection of Jesus Christ. He died so that all may have the chance to live forever if they put their faith in Him. That amazing truth gives us all hope in the final resurrection. Families and loved ones have marked many graves with this symbol. It reminds us that our faith in eternity is real. Our Father in Heaven has given us encouragement to persevere and look forward to inevitable reunions with those who have gone before us. It is a fitting reminder of the lives lived and the lives given so that each of us here can live with liberty and pursue the happiness that fills our soul. Thank you Vets! We are all very grateful for you. Patriotism flows through the veins of a special group of Americans. They are very different from each other when it comes to occupation, appearance and personal interests. Each one is unique, personal and lives at different speeds. These are motorcycle enthusiasts. Today there will be thousands who roar through our nation’s capital. They are drawn to come to the city from all over the United States to remember those who died and fell at the Twin Towers on September 11. Cyclists from thousands of miles away left family, took time off work and roared down asphalt roads to share in a common belief that this country is still their deepest love. Along the many miles that drew these riders together, they were cheered on by countless other Patriotic Americans who also love this nation. Most were non-riders who believed in the cause for this ride. Not everyone believes in symbolic gestures. But, these American bikers do. I do. There was a glitch along the way. The organizers of this event did their best to do it right. They applied for a permit from the city officials to stage a ride through but they were denied. Some gatherings in this great country are a protected right. Americans have the right to publicly gather. Does that thought sound vaguely familiar from the annals of our historic national roots? Out of respect for the laws of the land, ride organizers followed all of the proper procedures. When officials denied their application for a permit, something else took over. The American spirit emerged. When the souls of Americans swell and the desire is to honor fallen fellow Americans, who can stop it? What can thwart the expression of patriotism or love that bursts from the lives of thousands and thousands of Americans who collectively want to honor those who died? Our nation was hurt that day in history. We were wounded. It was a moment when all of us mourned, turned our hearts to God and humbled ourselves before the Creator acknowledging our need to depend on Him. Thousands died. They were innocent lives violently ended because of misled zealots who only knew evil. So we grieve. In our grief some have risen with a vision to keep the memory of the lives lost very much alive. This was a national moment of pain. None of us Americans should ever forget. I applaud my fellow riders on 9/11. 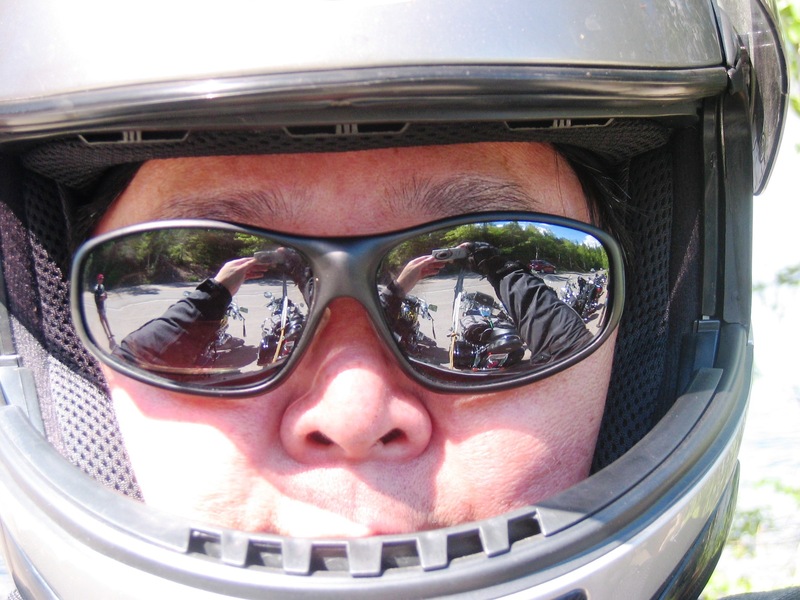 Ride on, ride safely, ride well! Numbers are important. They are not the zenith of all measures. Nevertheless, large numbers is impressive and is a symptom of something very good. If a Country & Western singer books a stadium for a concert it is great to sell out the seats. When the tickets are completely sold out early, that is even better. Sometimes SRO is the cream on the top. In any of these scenarios the numbers are important. An artist likes to have people in the audience if they are to perform. When we open a business for the first time, it is always great to have customers. The object of the business is to sell product. That happens when customers come in, feel at home and then make their purchases. Returning customers is the best sign of success. Those who come back, purchase more product, listen to more songs, take in more experiences for their learning are all good results. When the returning clients bring others with them and there is steady growth over time then that is the best result of all. Church is like that too. We like it when people come to Sunday services and bring their friends. It is heartening to see them enthused with what they experience and learn. The Global Leadership Summit has been around for many years. It is unlike any other conference that I have registered. Each time that I attend, I learn tons about leadership. My mind is saturated with what I want to do. It is also jammed with what I do not want to do. Creativity, tenacity, simplicity, common sense, novel approaches, grids, matrixes and patterns. Some have chosen not to participate in this conference. I do not remember the specifics of their reasoning. Actually, I chose to forget the excuses that they gave. 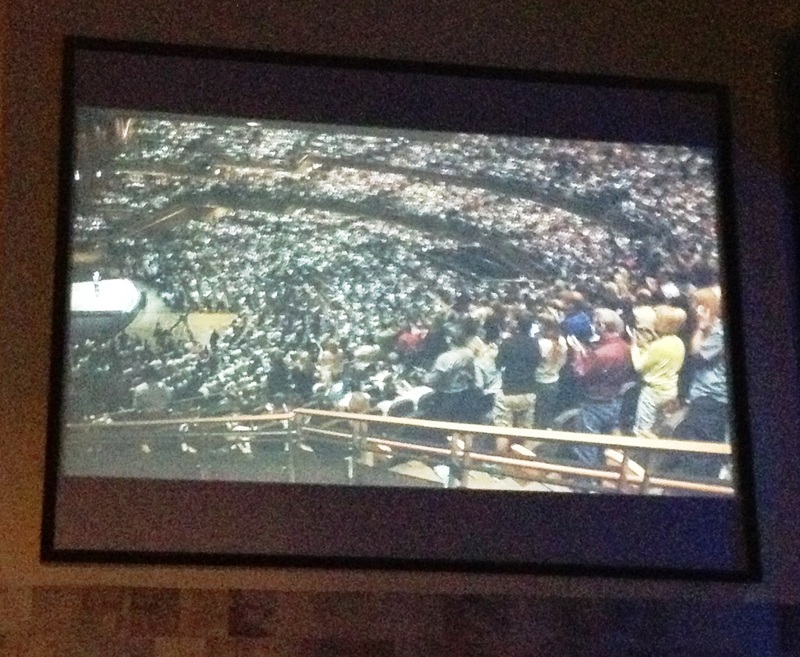 I gazed at the thousands that were in attendance at Willow Creek, Illinois. Their thunderous roar when they had a chance to worship, cheer or affirm and it was stunning. Sure, there are differences. Who does not have some differences with other leaders? But, we can learn so much from each other without compromising our own convictions. Humble people learn from others. When we respect others and earn respect in return, there is a good result. After all, discernment is the greatest skill of redeemed leader. He is not afraid of learning nor overly nervous about association. Good leaders gather to learn how to be better at leading from any source that they can. Great leaders lead the way to learn.